ECONOMICALLY PRICED TO ACCOMMODATE ADDITIONAL SEATING AT BACKYARD PARTIES AND CASUAL GATHERINGS. THESE CHAIRS ARE NOT RECOMMENDED FOR FORMAL GATHERINGS. PLEASE NOTE: BACKYARD CHAIRS ARE PRICED AT A REDUCED RATE DUE TO THEIR AGE, BLEMISHED APPEARANCE, SCRATCHES, RUST AND WORN CONDITION. THESE CHAIRS MUST BE PICKED UP IN OUR STORE. DELIVERY IS NOT AVAILABLE FOR THIS CHAIR. 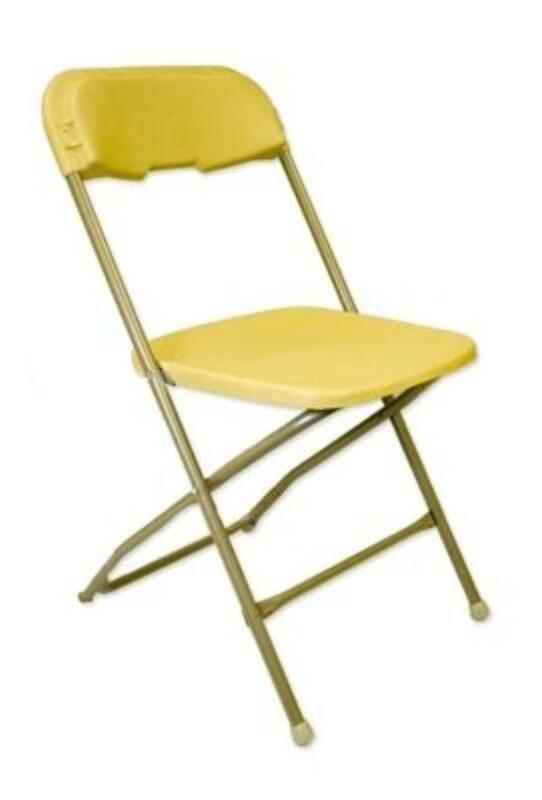 * Please call us with any questions about our plastic folding chair backyard gold rental in Baltimore Metro area.